Its been so long since my last post. I almost completely dropped out of the Blogosphere; only dropping in sporadically to read other blogs. I was too busy during the school semester and then when it was over I completely avoided all but essential email on my computer. I was still knitting and finished a couple of pairs of socks. 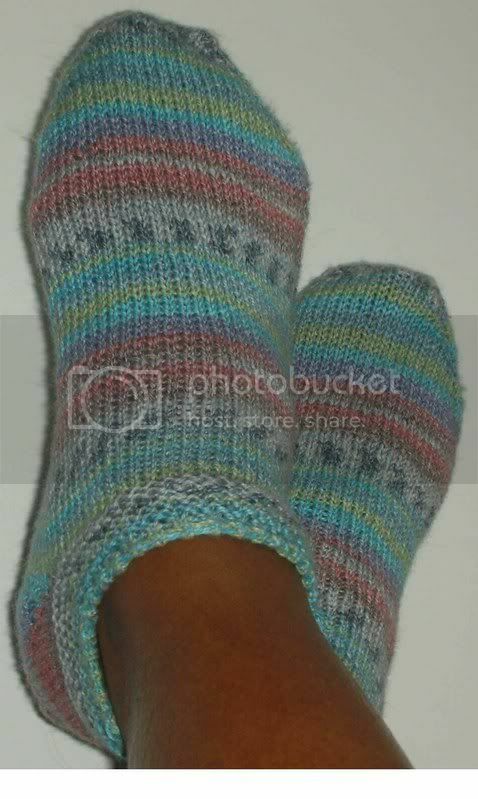 The ankle socks in the photo are 40" wool, 45% cotton, 15% polyamid and ohh so comfortable. I wish I could have knitt faster and knit more pairs. This blog started because of the Knitting Olympics, Winter 2006, started by the Yarn Harlot. 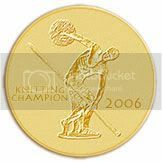 Now a new Olympics is starting today and a new Knitting Olympics: The Ravelympics. The Ravelympics is definitely a child of the Internet 2. Ravelry members world wide have created both teams and events. I have entered two events: WIP Wrestling and the Mitten Medley. I started a wrap in the spring for the Diva, for an Ebony Elite KAL. It is still unfinished and I will now wrestle it to the end of the Ravelympics. In a show of bravado or absolute foolhardiness I entered the second event. If I can't finish one object during a KAL how do I expect to finish two? 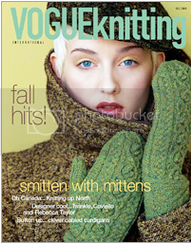 My mitten pattern is Jared Flood's Druid Mittens, as seen on the cover of Vogue Knitting Fall 2008. I still have to run out and get my pattern this afternoon, for this evenings cast on. posted by Scheherazaad @ 8/08/2008 01:23:00 p.m.